The brilliant new thriller from the author of the critically acclaimed debut, The Poison Tree. Paul was led into a life of crime by his boyhood protector, a bully named Daniel; but one night, what started as a petty theft turned into a grisly murder. Now, at nineteen, Paul must bear witness against his friend to avoid prison. Louisa’s own dark secrets led her to flee a desperate infatuation gone wrong many years before. Now she spends her days steeped in history, renovating the grounds of a crumbling Elizabethan garden. But her fragile peace is shattered when she meets Paul; he’s the spitting image of the one person she never thought she’d see again. These two, scarred and solitary, begin a secret affair. Louisa starts to believe she can again find the happiness she had given up on. But neither of them can outrun his violent past. A story of secrets and guilt set among the ruins of a sixteenth- century English garden, The Dark Rose explores the extremes of obsessive love and loyalty, devotion and desperation. 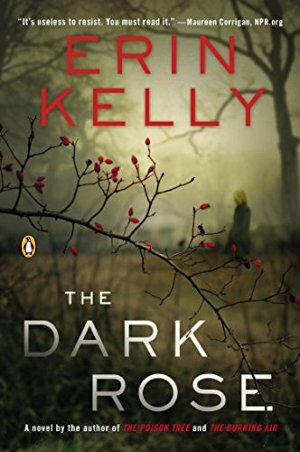 Like Kelly’s critically acclaimed debut novel, The Poison Tree, this fantastically creepy, atmospheric novel thrills until the final shocking moments.